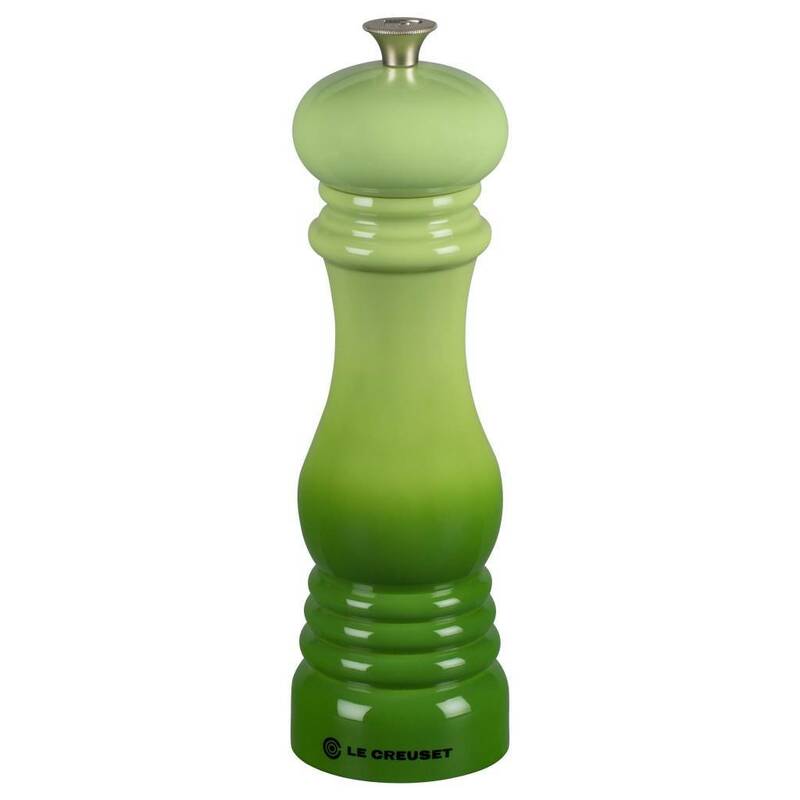 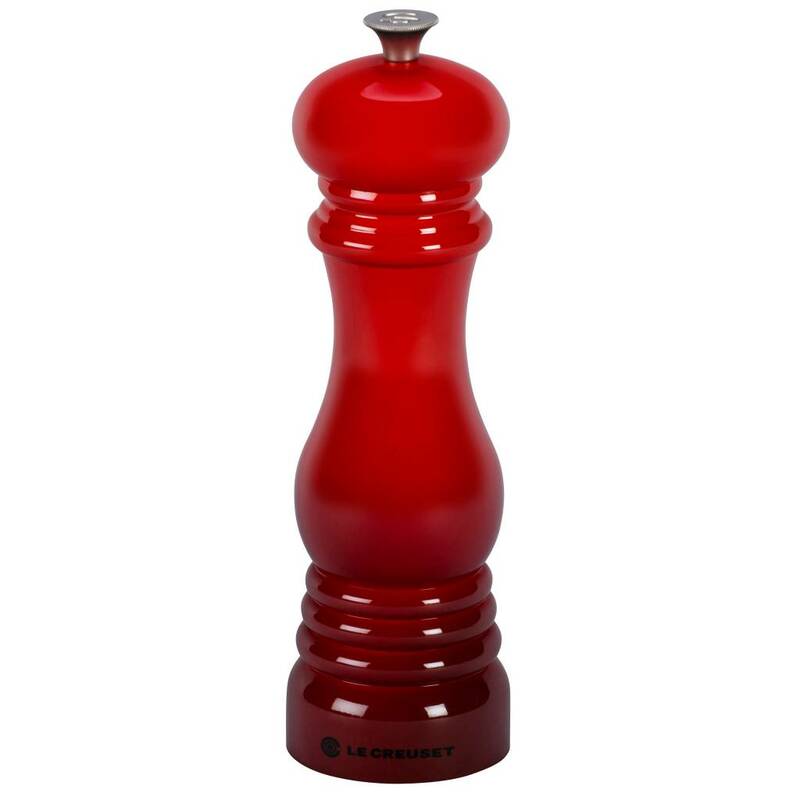 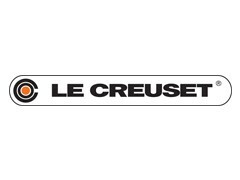 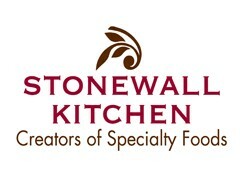 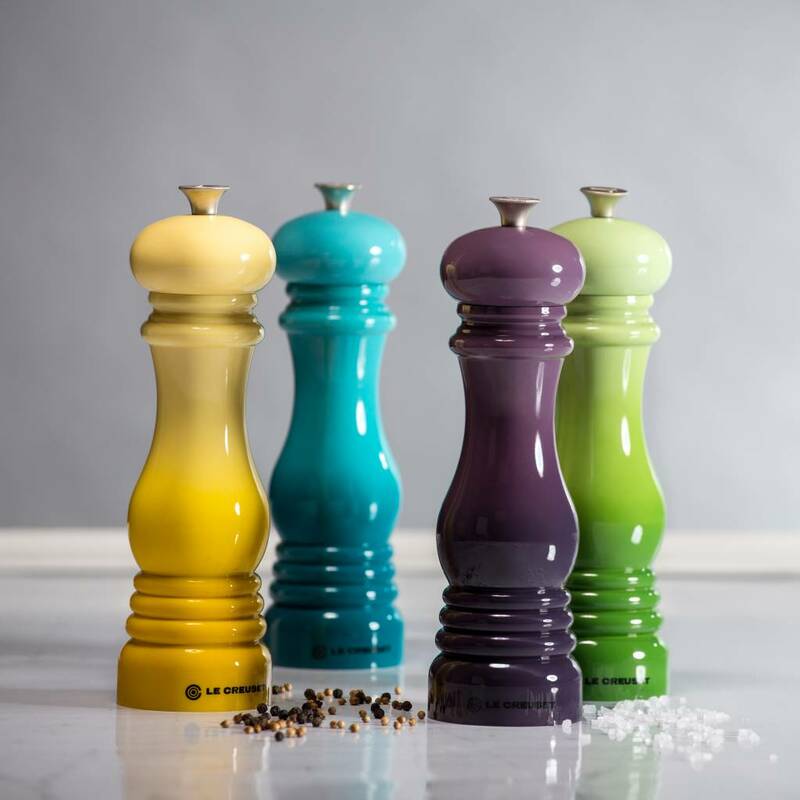 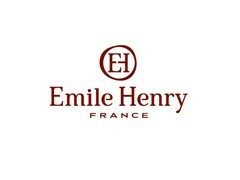 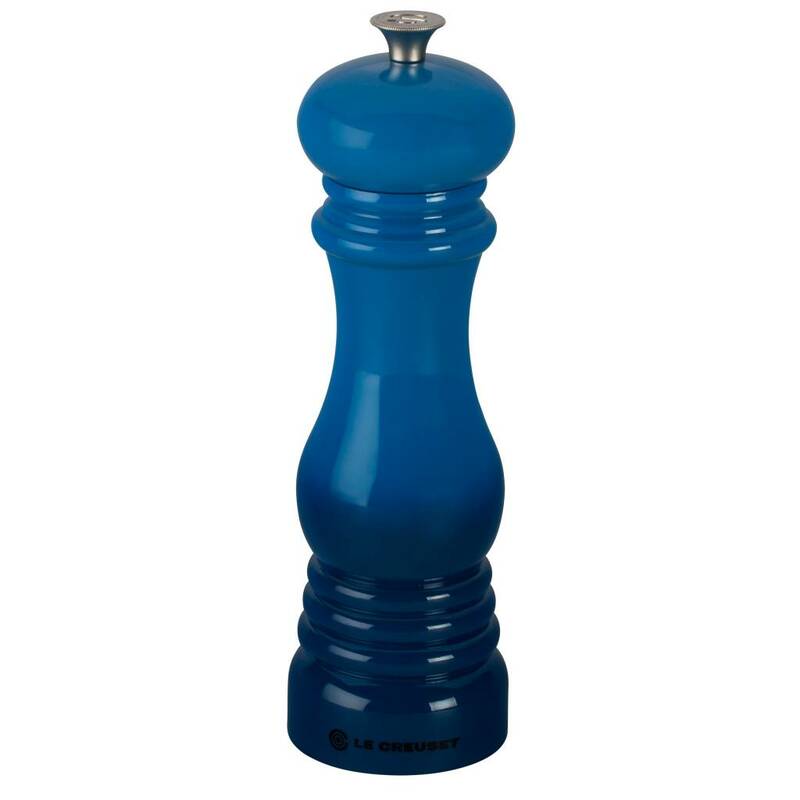 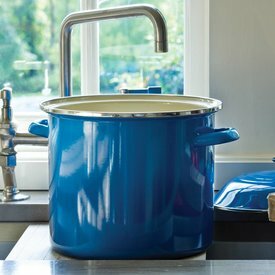 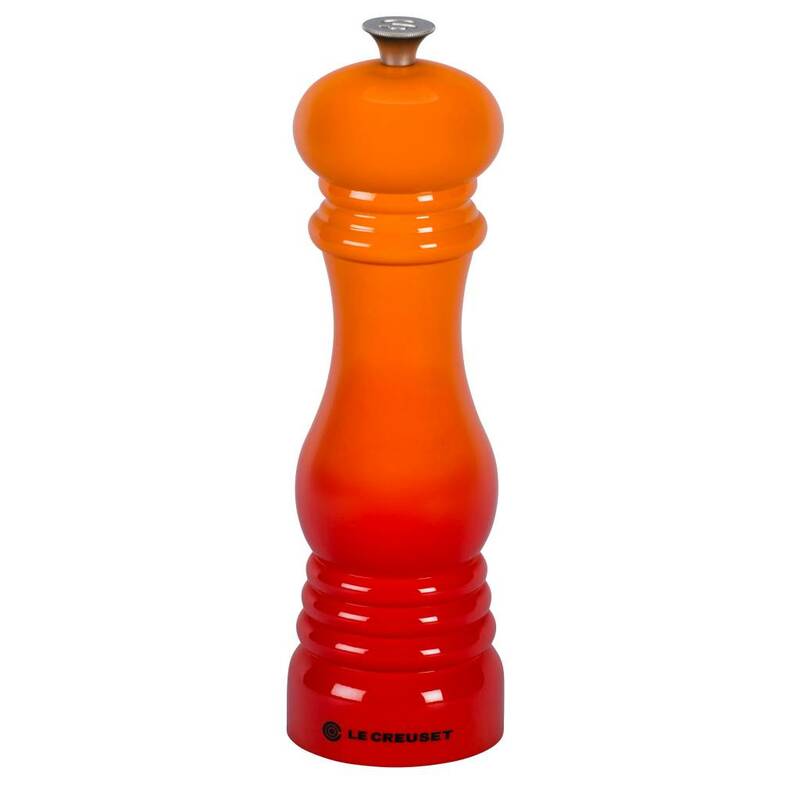 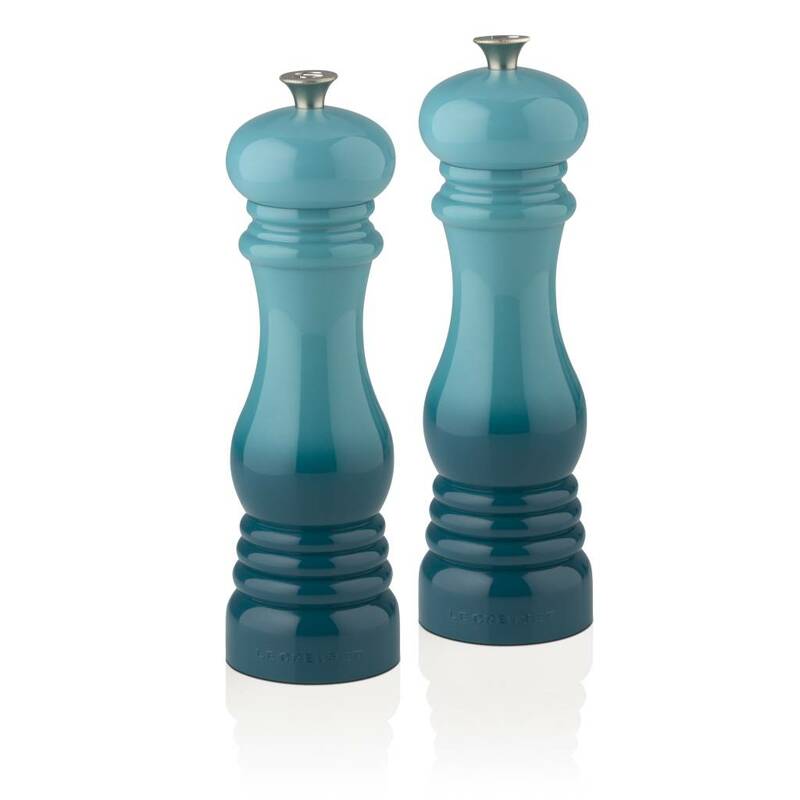 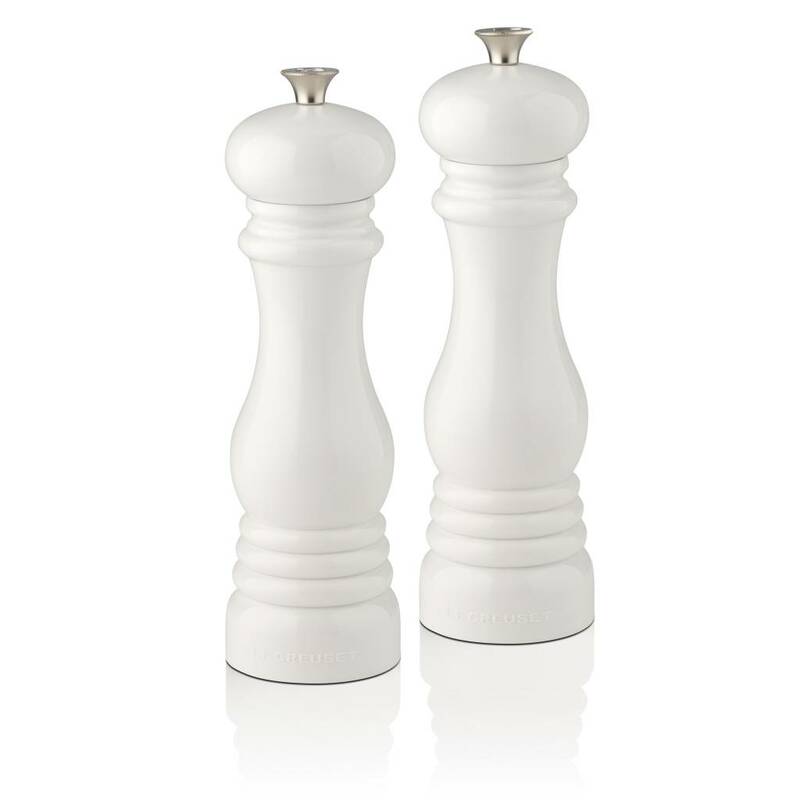 Le Creuset Salt Mills and Pepper Mills combine modern technology with a classic, colorful form. 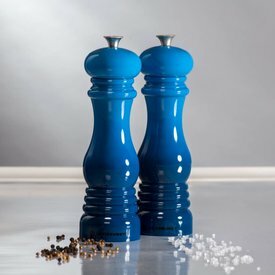 The ceramic grinder is strong enough to crack all peppercorn varieties and corrosion-resistant for grinding salts of every flake and texture. Easily adjust the coarseness of your pepper or salt by turning the knob on top clockwise for a finer grind and counterclockwise for a coarser grind.